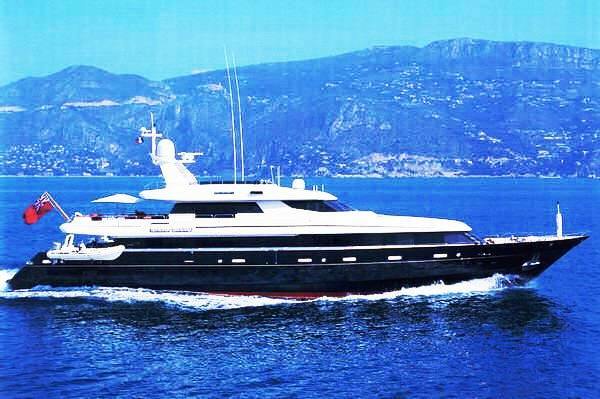 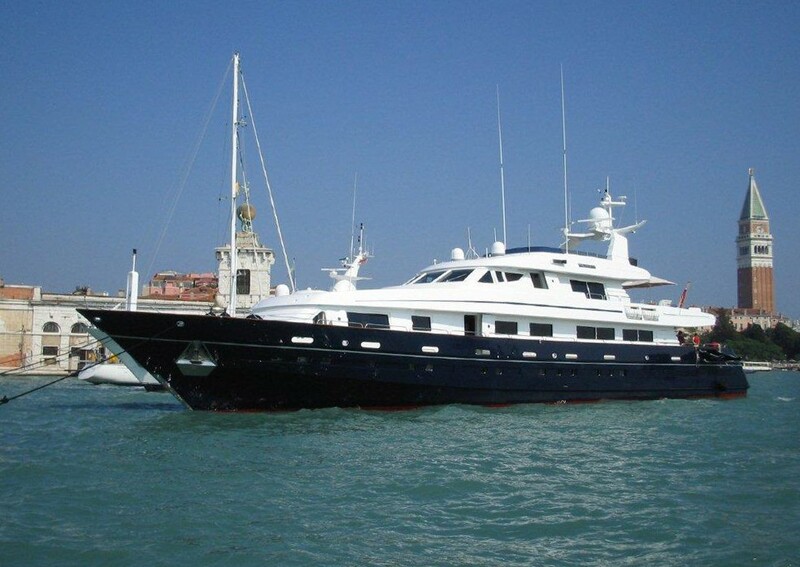 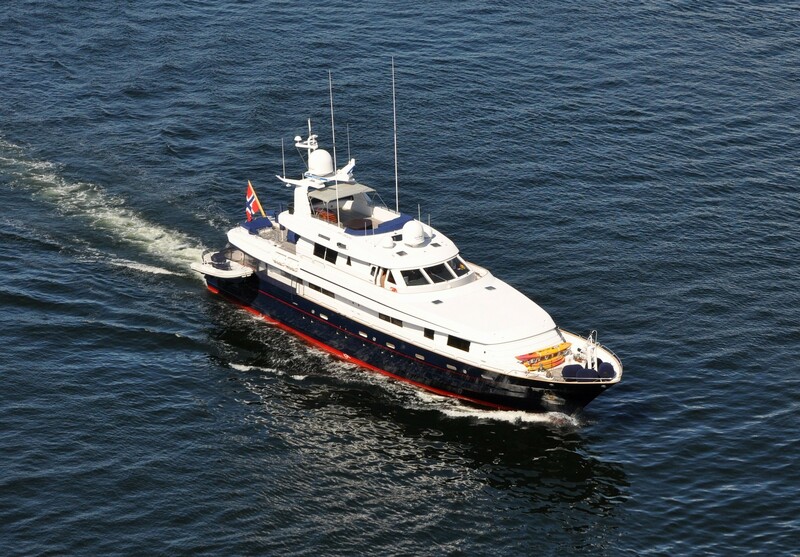 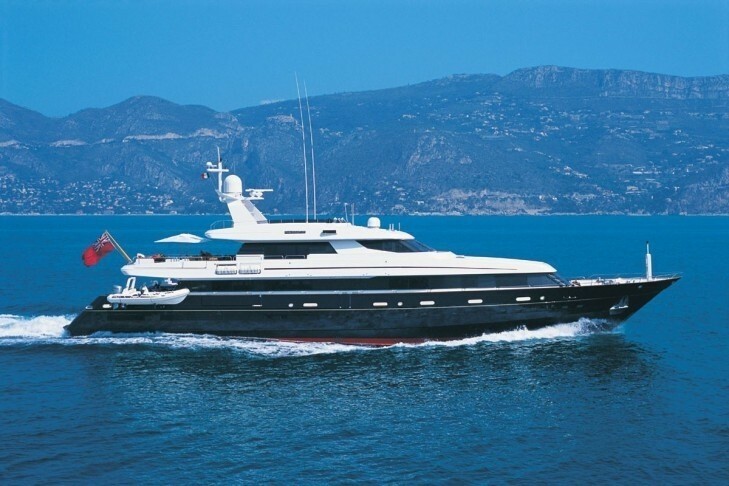 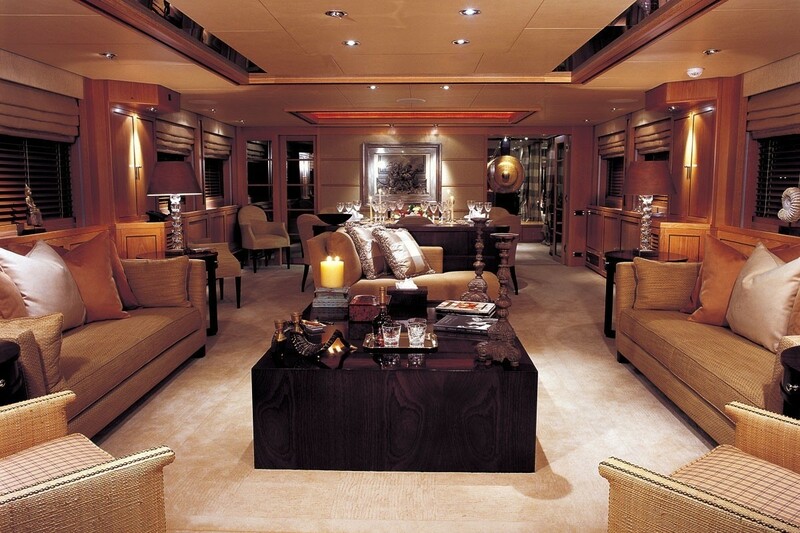 Luxury motor yacht PHILOSOPHY was designed by Don Shead and built by Brooke Yachts. 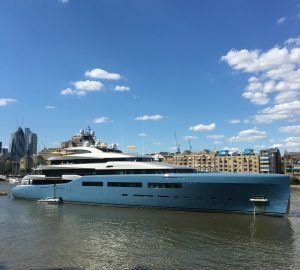 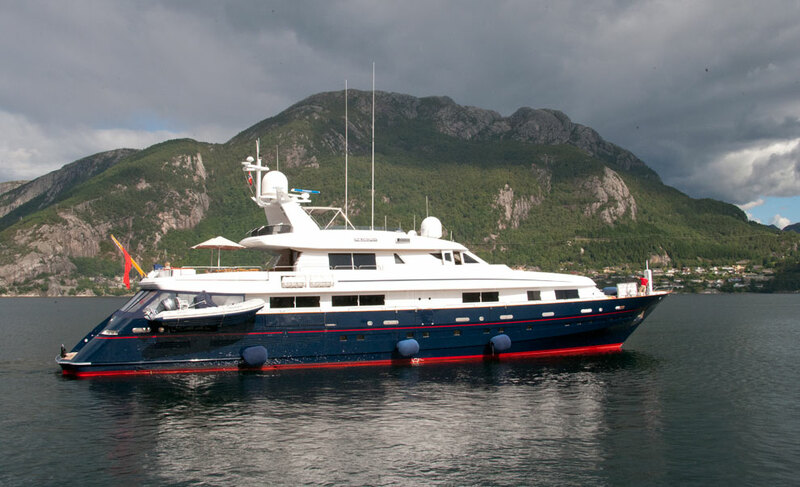 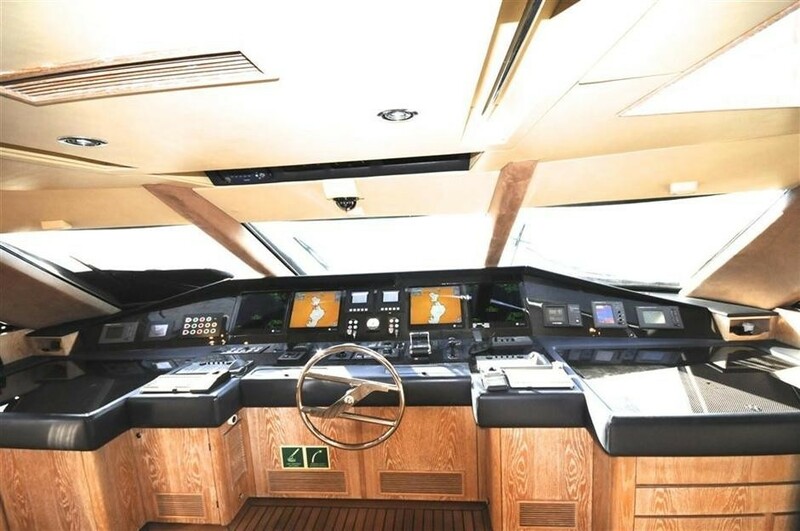 With a 41.5 meter long, sleek, modern and graceful exterior PHILOSOPHY has also had the benefit of a comprehensive modernizing refit of her interior in 2003 and 2010. 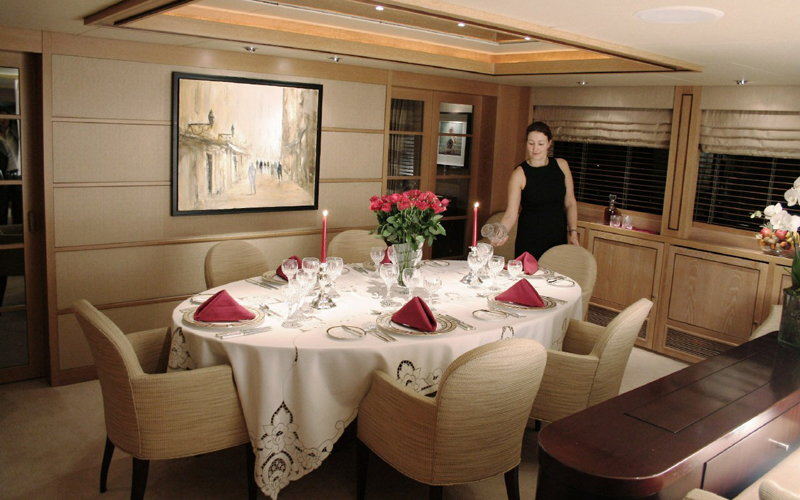 Accommodation is offered for up to 10 charter guests in 5 cabins, including a large Master cabin with private office, two double and two twin cabins. 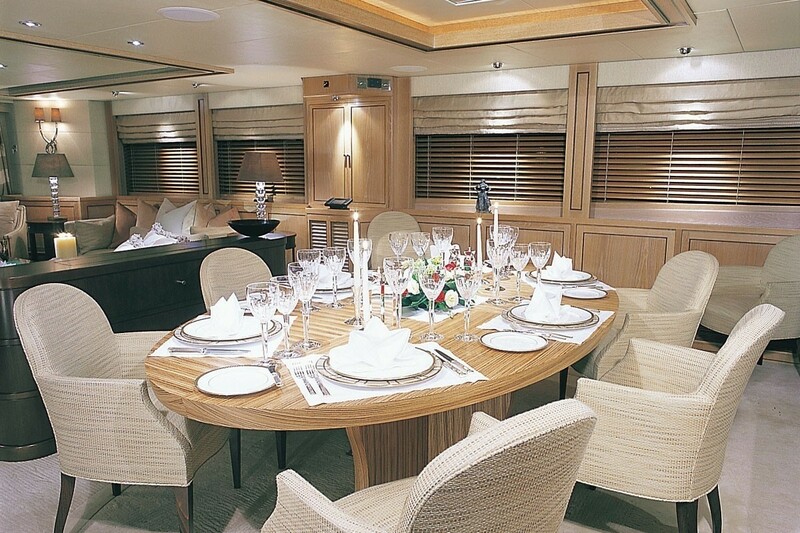 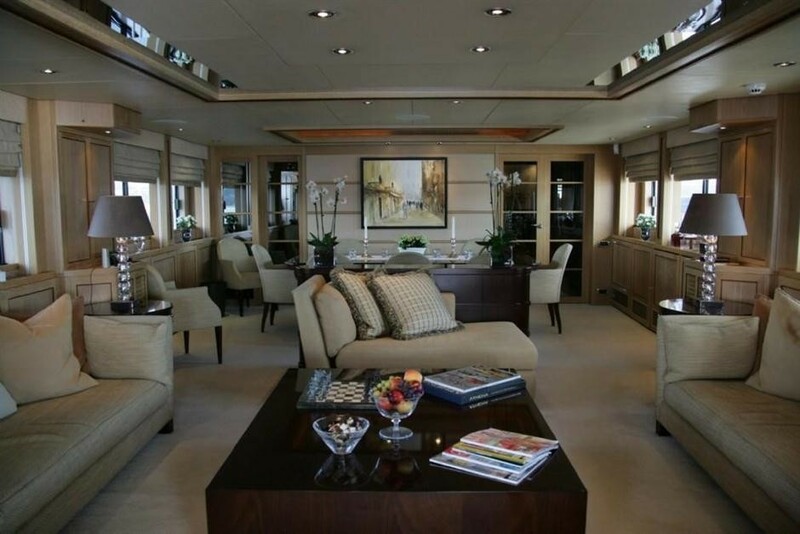 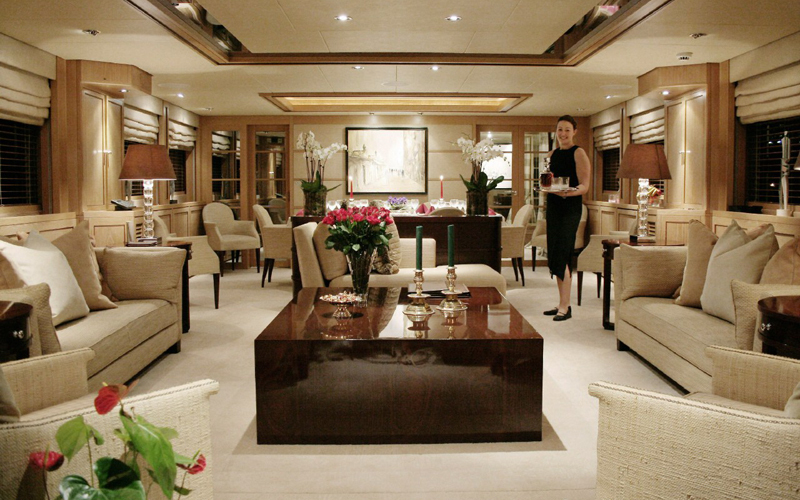 The main saloon offers both a formal dining room forward and a more casual seating area aft for relaxing. 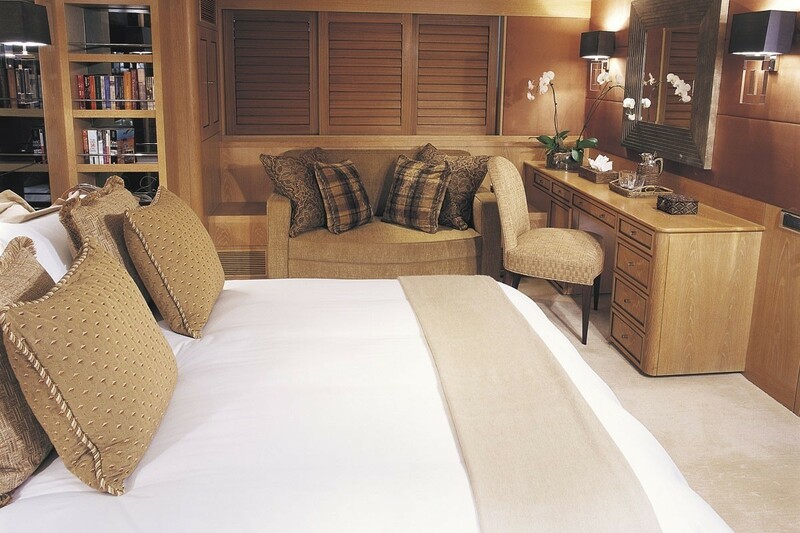 The salon décor features a mixture of tropical wood, lush carpets and soft furnishings. 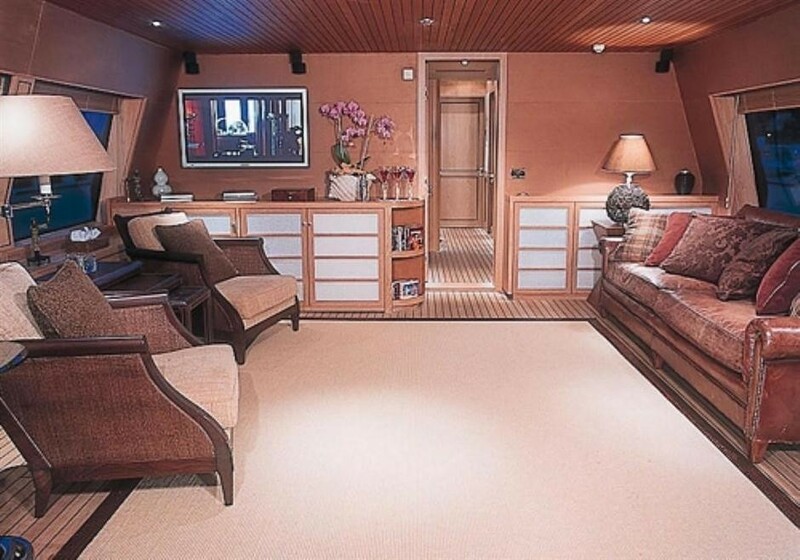 The salon and sky lounge have an LCD TV, DVD and music system. 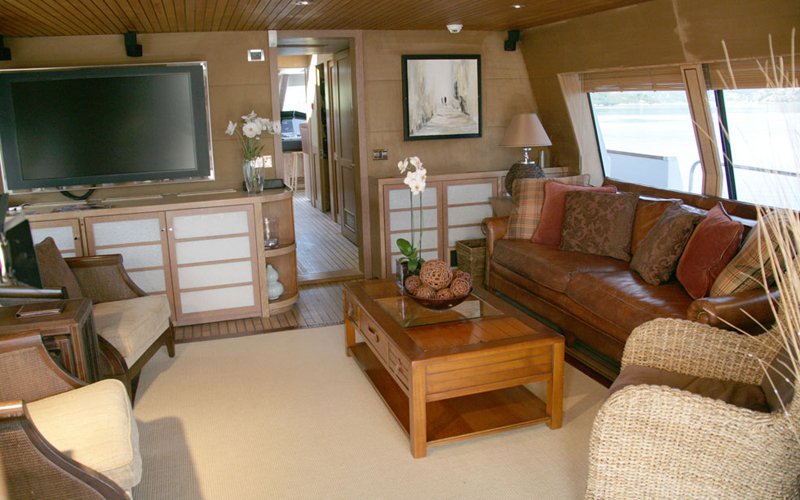 The upper deck contains a lovely sky lounge as well as the wheelhouse. 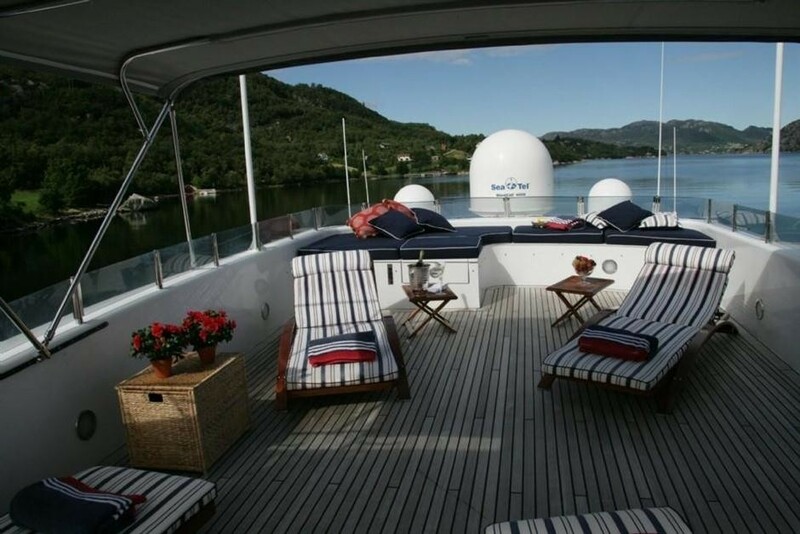 There are plenty of areas for relaxation on either the yacht’s upper deck, sundeck or on the ample aft deck. 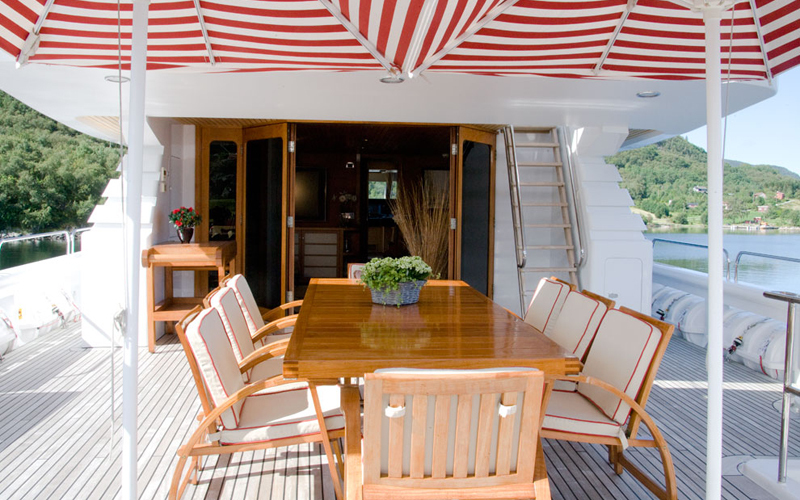 The upper deck has comfortable lounge chairs, a dining table accommodating 12 guests for dinner and large umbrellas for shade if required. 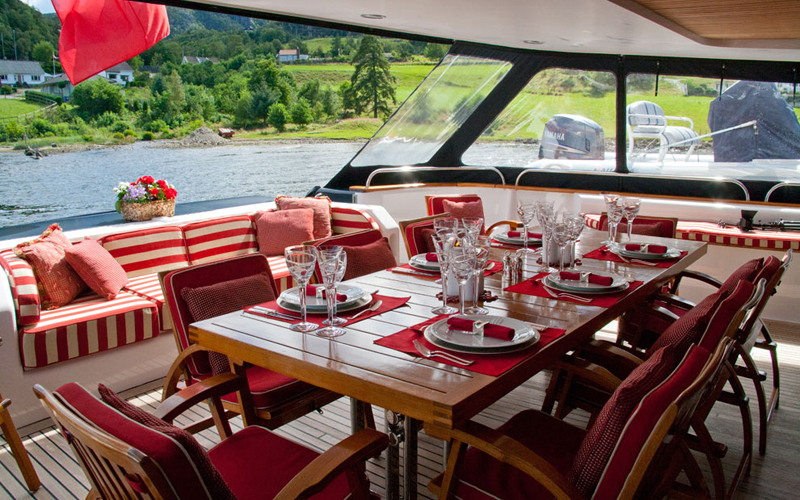 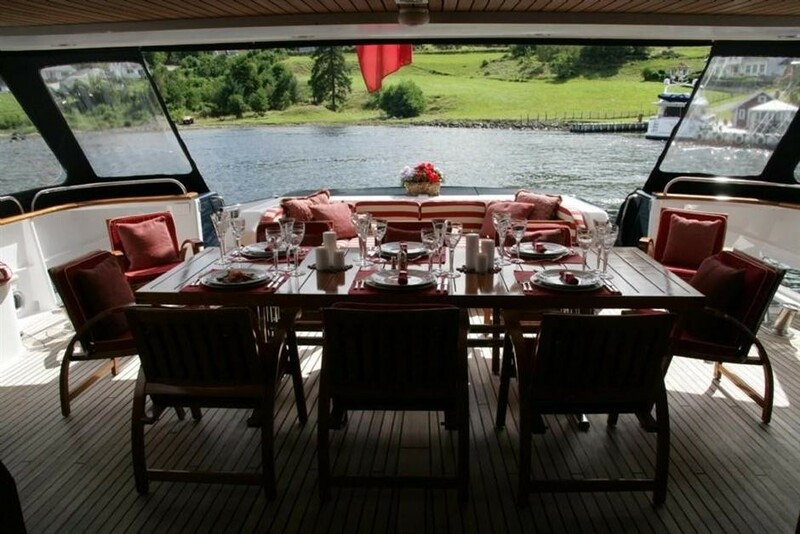 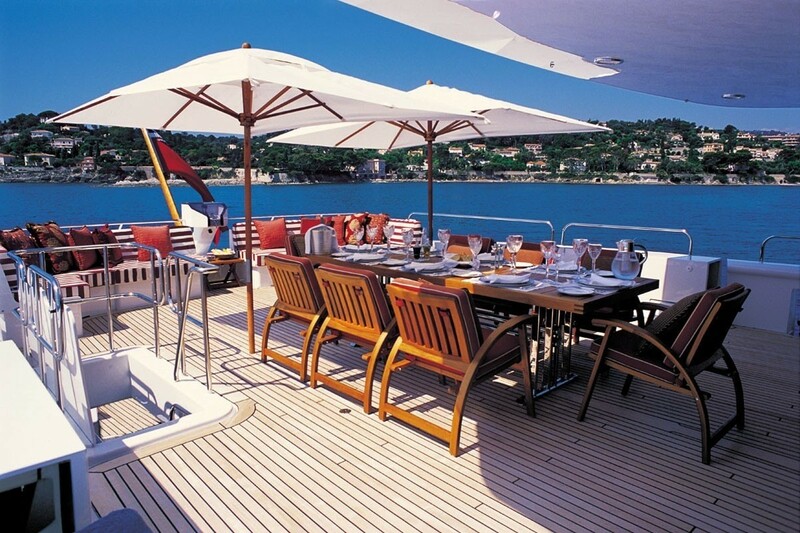 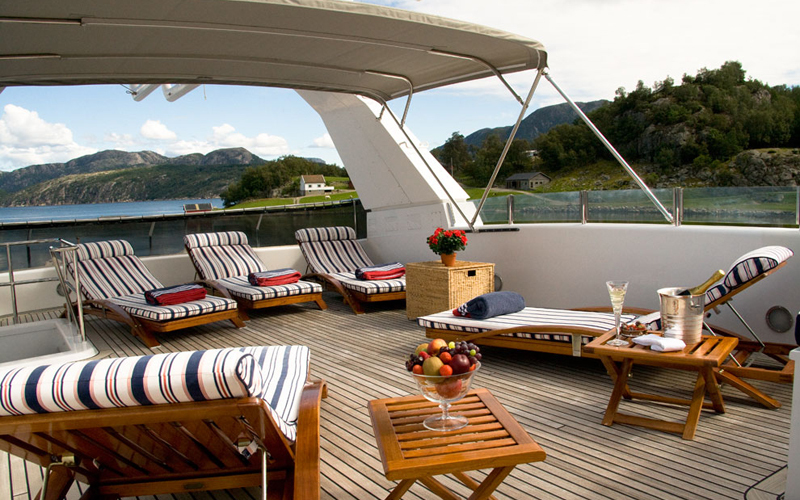 The aft deck is also ideal for outside dining as well as swimming and enjoying the water toys from the swim platform. 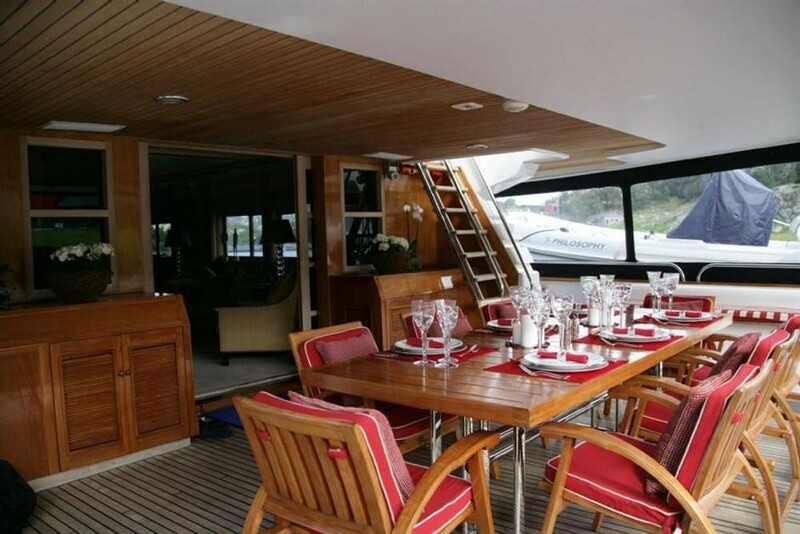 The aft deck is ideal for al fresco dining even in bad weather as it can be completely enclosed and heated by electric heaters. 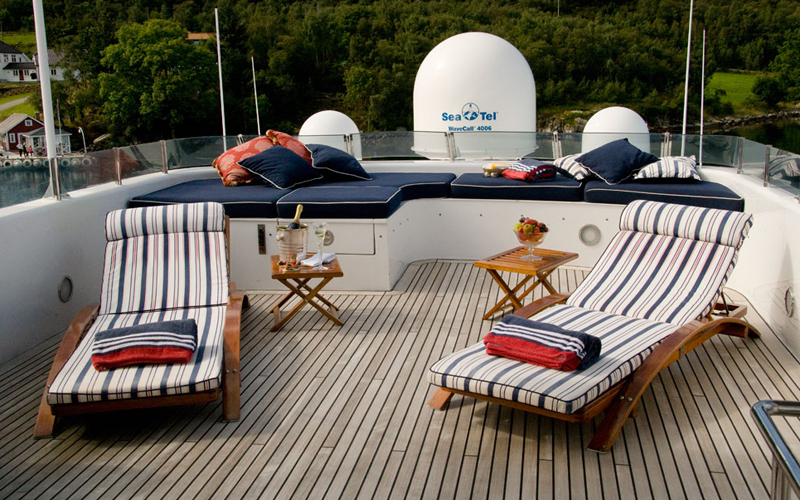 The sun deck features lounge chairs as well as a Spa Pool. 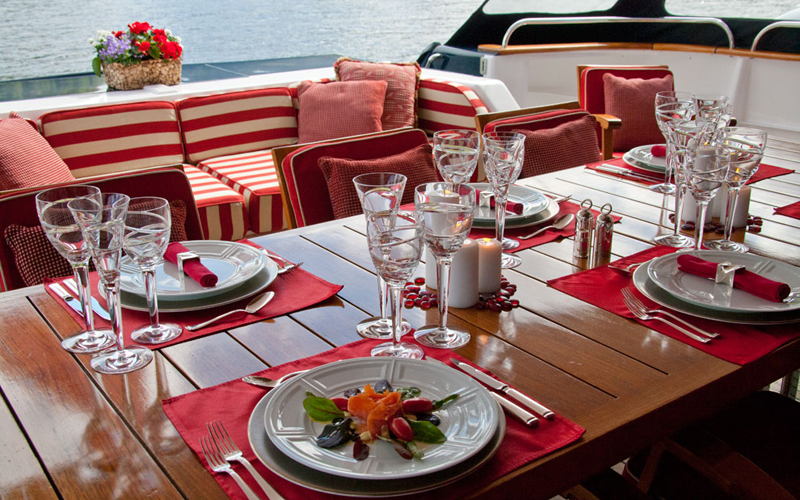 While chartering motor yacht PHILOSOPHY, guests can enjoy activities such as water sports, kayaking, fishing, hikes, helicopter tours, snorkelling and sightseeing. 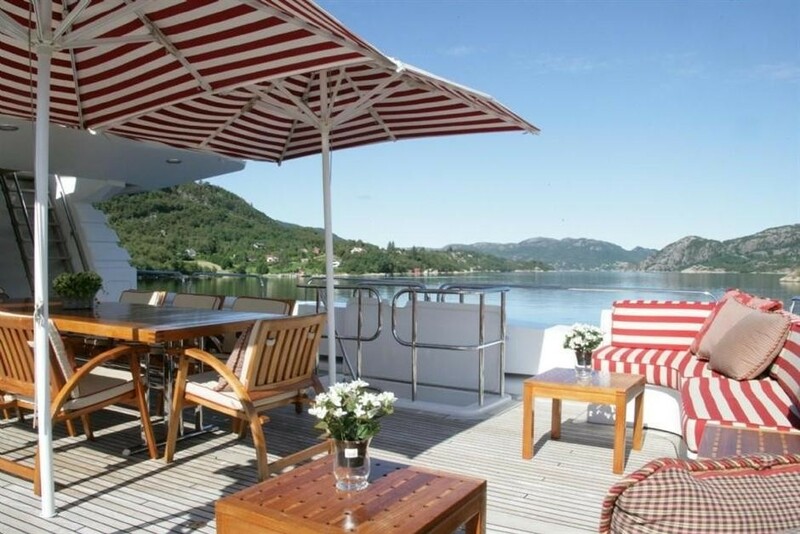 The Chef specializes in local Norwegian food but can also create a variety of delicious international cuisine. 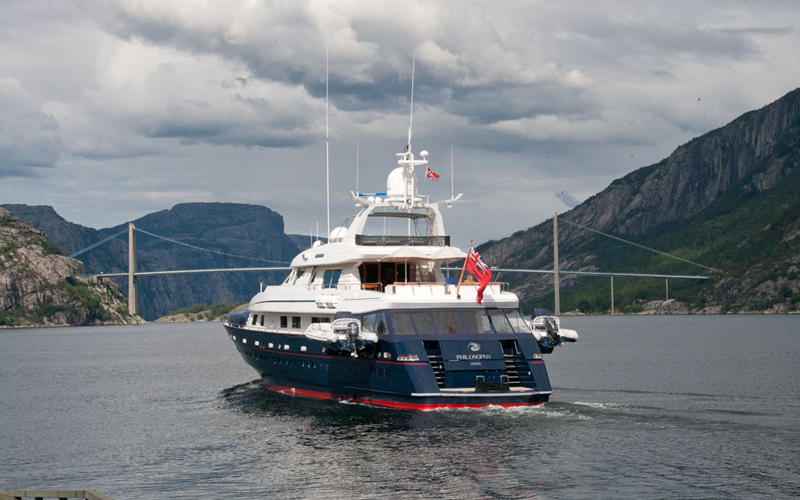 M/Y PHILOSOPHY is expertly captained by the very experienced Norwegian Captain and his professional and friendly crew of 8. 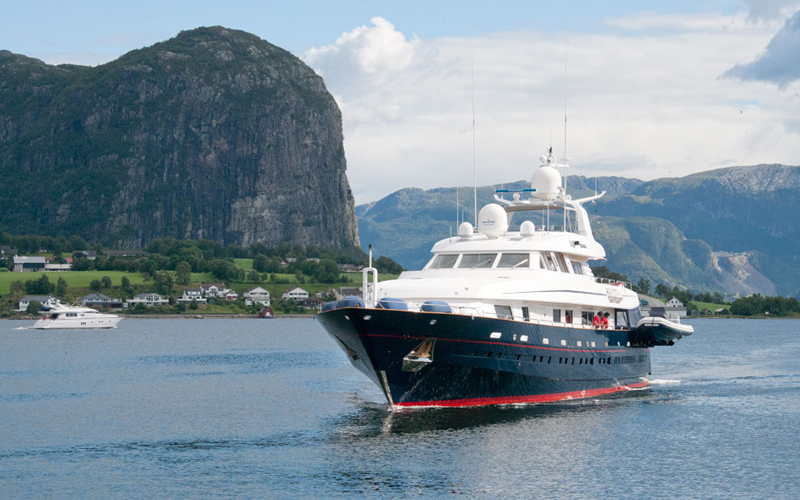 She also received a mechanical refit which included the installation of new MTU engines and Northern Lights generators, allowing a top speed of 17 knots and cruising speed of 13 knots. 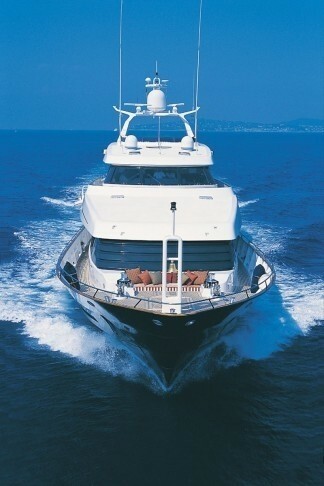 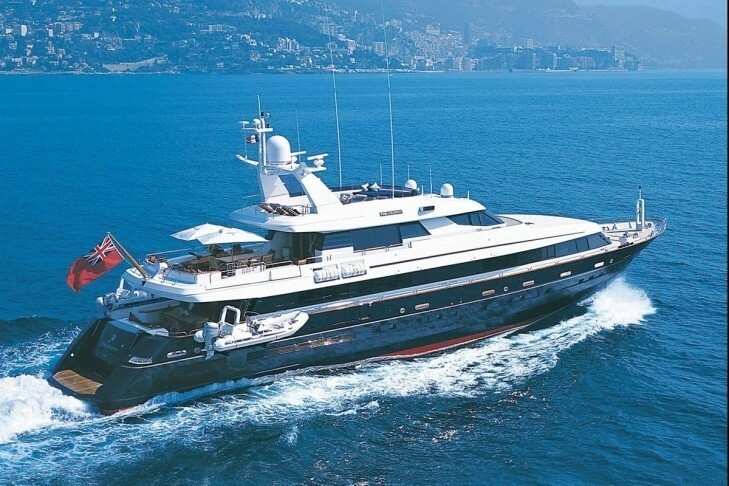 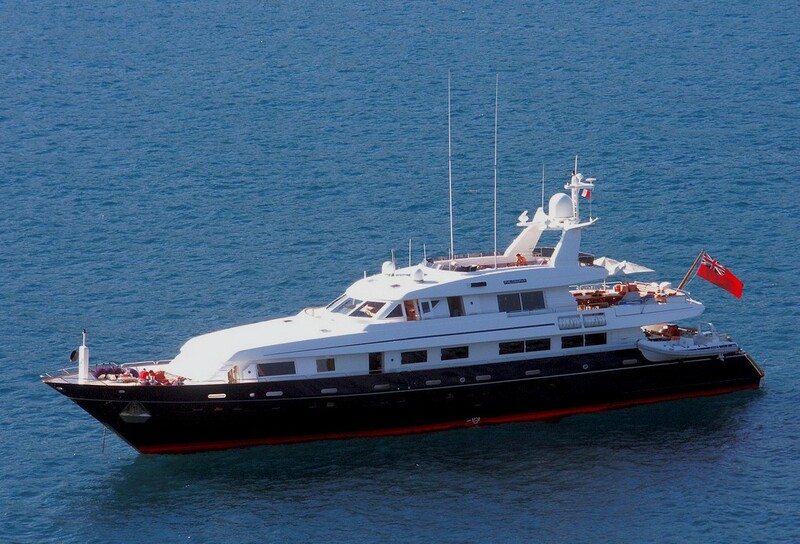 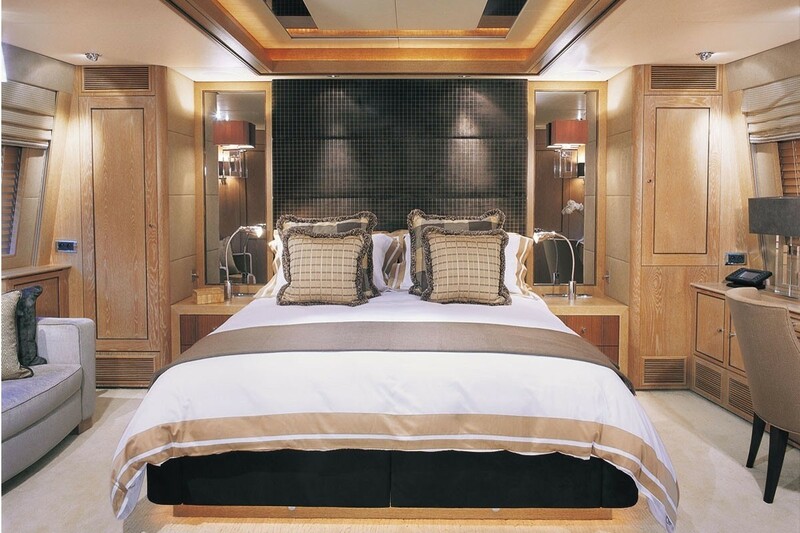 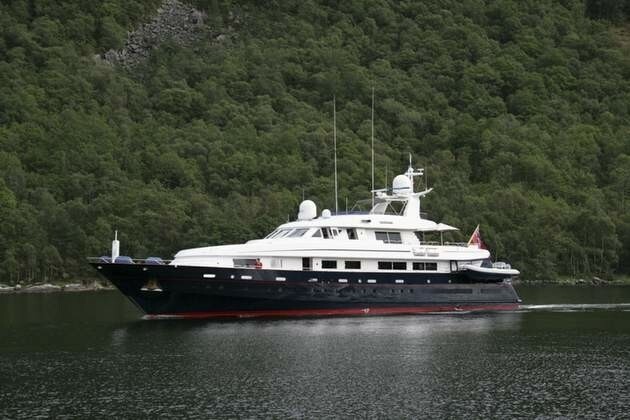 Luxury motor yacht Philosophy has superior accommodation for up to 10 guests in 5 individual cabins. 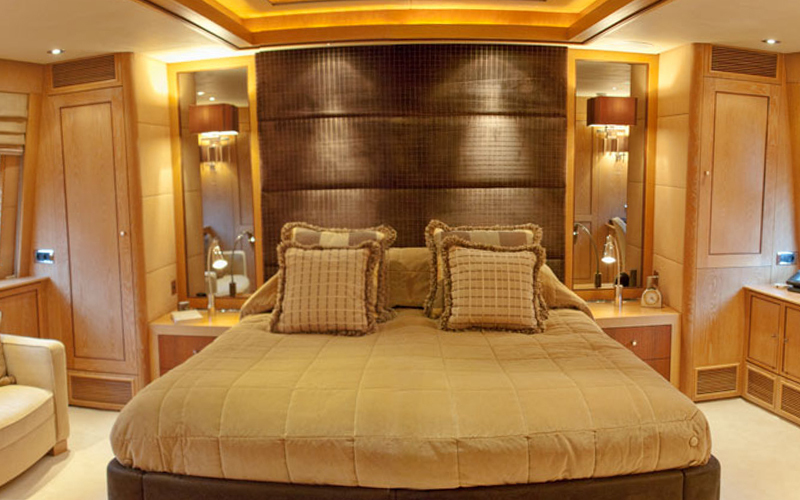 The yacht’s main master suite located forward on the yacht’s main deck and includes a full entertainment centre with Sat TV. 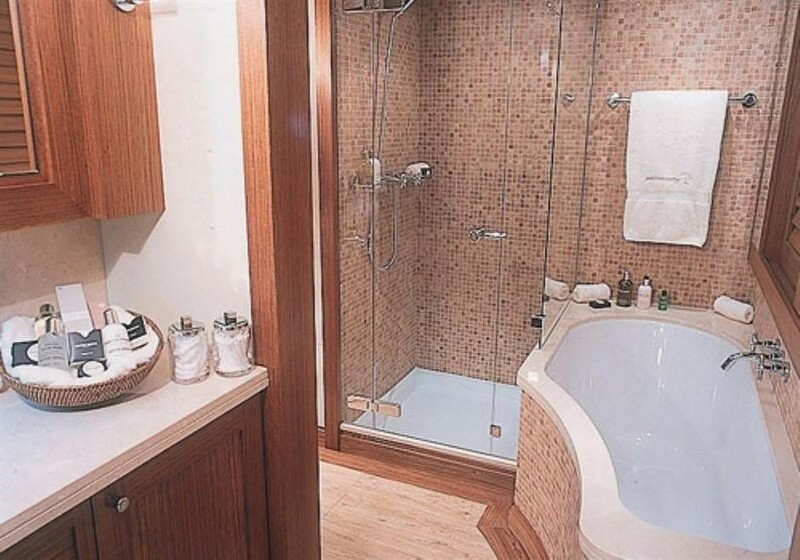 The master suite also boasts a ‘his & hers’ bathroom ensuite (with bath & shower) with dressing vanity area and an adjoining but sofa and separate study. 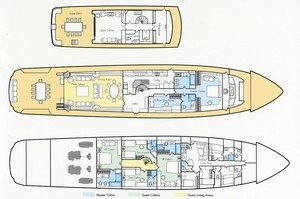 Philosophy also provides a further four guest cabins on her lower deck. 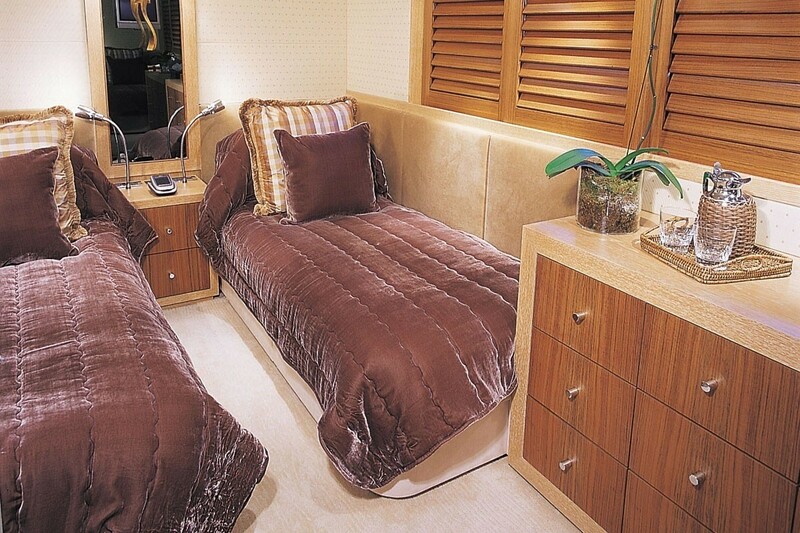 Two of the cabins are VIP with queen sized beds, vanity and sofas and two of the cabins are twin bedded. 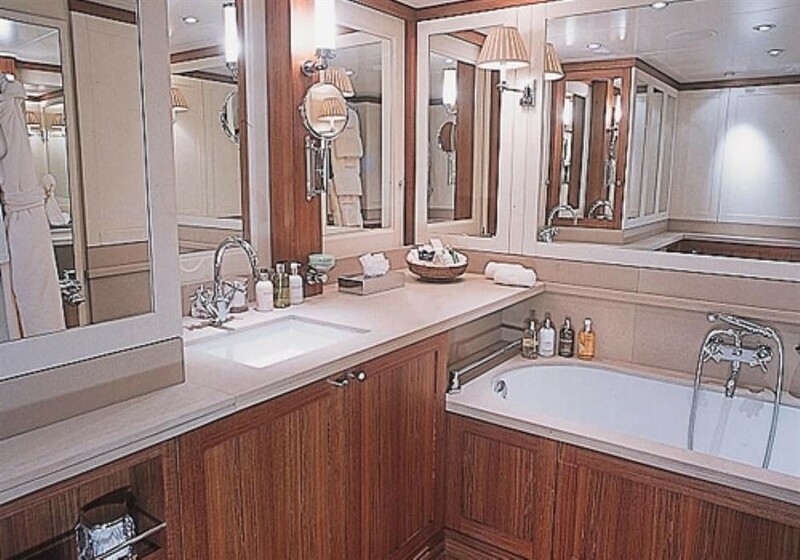 All of the cabins have their own ensuite bathroom facilities. 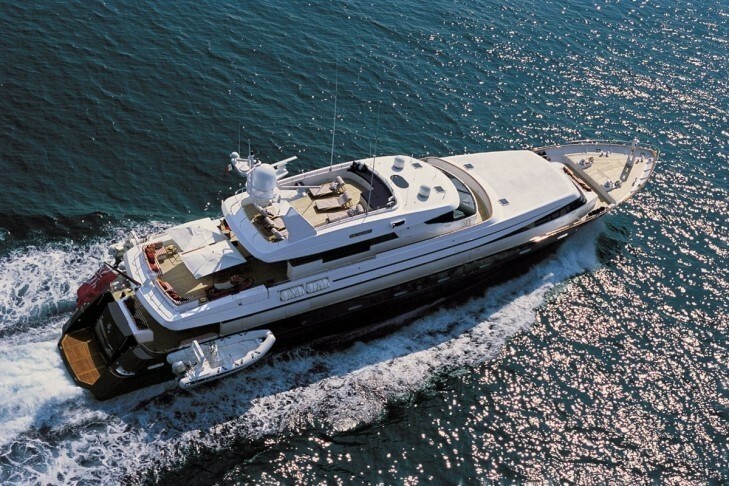 Motor yacht Philosophy provides a fantastic range of amenities and extras including a 5 meter and 5.5 meter Stinger semi rigid inflatable tenders - both with Honda 90 horse power engines, a two person Kawasaki XPDI wave runner jet ski, various water-skis, wake boards and other towable toys. 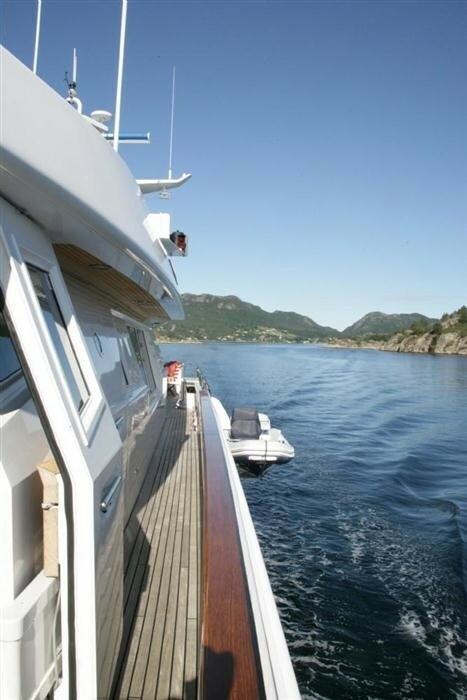 The yacht also has stabilizers for extra comfort.